﻿ Book Cape Santa Maria Beach Resort & Villas (Long Island) - 2019 PRICES FROM $357! 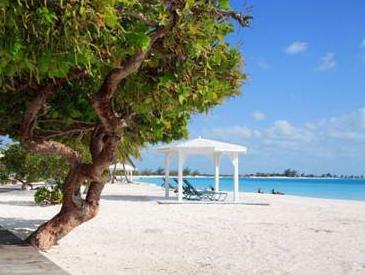 Situated on a 4-mile talcum powder sand beach, this Galliot Cay resort offers a 5 hour tour of Long Island. A water sports facility, catamaran and bike rentals and tropically designed accommodation are offered. A private patio is provided in each Cape Santa Maria Beach Resort accommodation. Each includes a refrigerator and coffee facilities. The villa includes a fully equipped kitchen. Activities such as scuba diving, snorkeling and fishing on the tidal flats are offered at the resort. Guests can also go beach combing and shelling on the private beach at Beach Resort Cape Santa Maria. The Long Island Tour takes guests to view the Columbus Monument, Adderly Plantation and the local museum. An iguana boat tour is also available and travels along the coast and to Sandy Cay. Upon check-in photo identification and credit card is required. All special requests are subject to availability upon check-in. Special requests cannot be guaranteed and may incur additional charges. Please note hotel taxes & service charge vary based on room type and season. See individual rooms for more information.